Arsenal will reportedly pay no attention yet another of head of recruitment Sven Mislintat’s transfer recommendations as the German chief prepares to leave the Emirates Stadium at the end of the week. The 46-year-old joined Arsenal in December 2017 from Borussia Dortmund but will depart on Friday after disagreeing with the club’s new structure and approach since the club’s former CEO Ivan Gazidis’ departure. Mislintat had little involvement in the Gunners’ January transfer business, with manager Unai Emery pushing to land Denis Suarez, who he worked with at Sevilla. Although the Blaugrana loanee is seen as a winger by Unai, Arsenal are still planning to bring in a new wide man in the summer. They had loan deals turned down last month for both Ivan Perisic and Yannick Carrasco, having been unwilling to commit to a compulsory obligation to buy either star at the end of the loan. 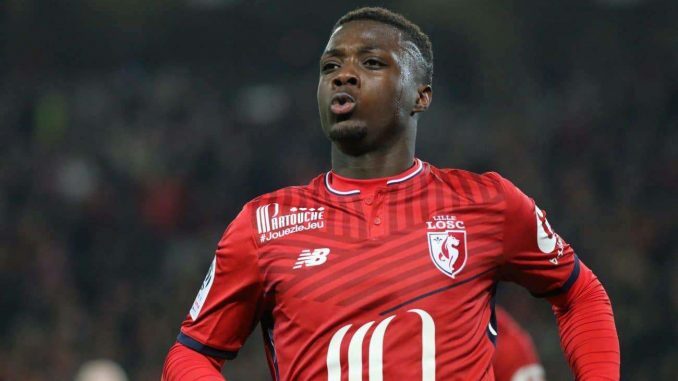 The north London outfit are already looking at targets now and will reportedly have more funds to attract better players in the summer, and Football.London report that Sven’s preferred choice was Lille’s Nicolas Pepe. However, Lille have slapped a huge price tag on Pepe and the Gunners are likely to look at other options, in spite of the 23-year-old being heavily championed by Sven.